Instead of a massive advertising campaign extolling the virtues of the redesigned 2018 Accord sedan, Honda Canada said it leaned on positive reviews from the press and word-of-mouth praise from owners. In hindsight, it leaned too heavily. Sales of the redesigned model through the first eight months of the year are down 12.4 per cent compared to sales of the previous model for the same period in 2017. Jean Marc Leclerc, senior vice-president of sales and marketing at Honda Canada, said the company held back on a massive advertising blitz for the new model because it was assumed word-of-mouth and media praise would boost sales more than they did. Honda Canada sold 8,973 Accords through August, down from 10,243 cars — the previous-generation model — a year earlier. The Accord was faring worse than the Canadian car market as a whole. It also lost ground to its top competitor, the Toyota Camry, which saw sales rise 12.5 per cent in that timespan to 9,973 units. 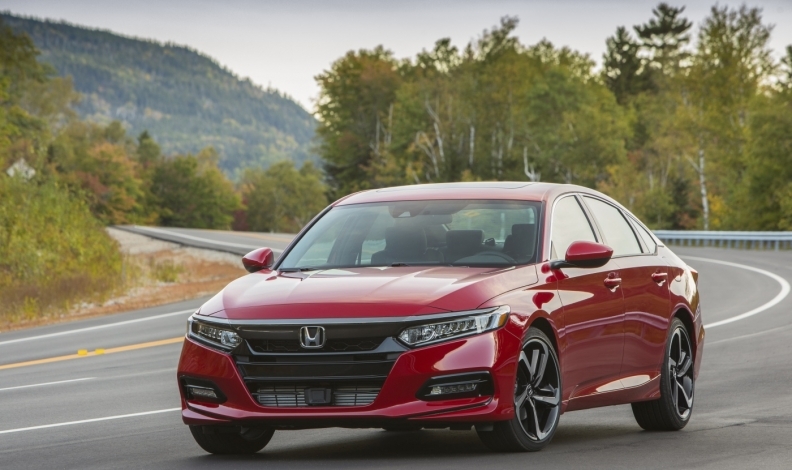 Honda Canada spokesman Alen Sadeh said the company has retooled its Accord marketing over the summer to focus on the car's features, as opposed to the awards it won. Much of the automotive press lauded the redesigned Accord for its overhauled interior, new turbocharged engine and other features. The sedan received numerous accolades, including 2018 North American Car of the Year at the Detroit auto show in January. Leclerc said Honda has made “adjustments” to its Accord marketing strategy to avoid leaning too heavily on awards and word-of-mouth from satisfied Accord drivers. He said the automaker would not slap higher incentives onto the Accord because the sedan is “very competitive” in pricing. The Accord starts at $28,372, including shipping fees. Jason Willis, sales manager at Kingston Honda in Kingston, Ont., said the dealership’s biggest issue when selling the Accord is a relative lack of availability. As a result, more time is spent marketing the Civic compact car, though he said the Accord redesigned features are an easy selling point. Honda Canada spokesman Alen Sadeh said the company has retooled its Accord marketing over the summer to focus on the car’s features, as opposed to the awards it won. He said results of the campaign should already be felt. Accord sales fell in July, though at a slower rate than it did through June. Honda Canada sold 1,319 Accords in July, a 7.5 per cent decline from a year earlier. But that pace accelerated in August when the automaker sold 1,189 Accords, down 16 per cent from the 1,441 units it sold in August 2017. The success of the Accord, as well as the Civic compact car, is crucial for the automaker, which relies more on cars than most automakers in an era dominated by utility vehicles and pickups. Through August, about 48.5 per cent of the automaker’s Canadian sales, including the Acura luxury brand, were cars. By contrast, 30 per cent of the industry’s overall sales came from car models in the same time period. Many major automakers in North America are diverting funds from the manufacturing and sale of cars to focus on light trucks, which remain in high demand and are typically more profitable. The most extreme example is Ford, which will eventually end the sale of all of its cars in Canada, except the Mustang. Leclerc said Ford’s exit from the sedan segment and other automakers de-emphasizing car sales gives Honda an opportunity to win more conquest buyers and to grow its market share. “We see it as an advantage for us in some ways. The idea of increasing our market share is not that far-fetched because we see a lot of players in that segment slowing down and shifting their focus and incentive money on other models,” he said.